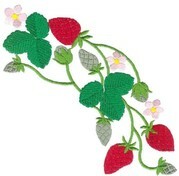 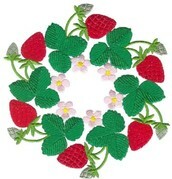 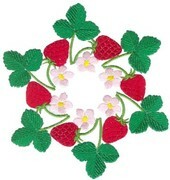 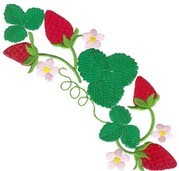 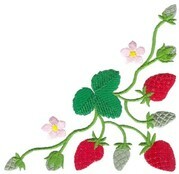 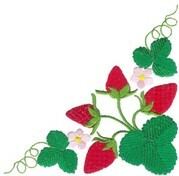 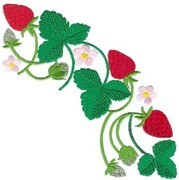 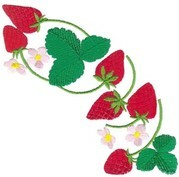 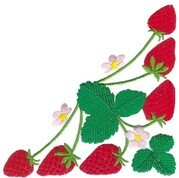 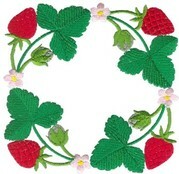 These bold strawberry designs include 12 designs for the 5x7 hoop. 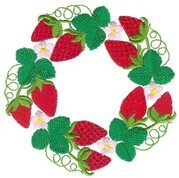 There are corners, wreaths and quarter circles, which can be used on table, kitchen or bedroom linens and on curtains or cushions. 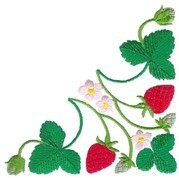 Be inspired by the array of projects depicted, all made using this set!